The RING THIEF – unmasked! 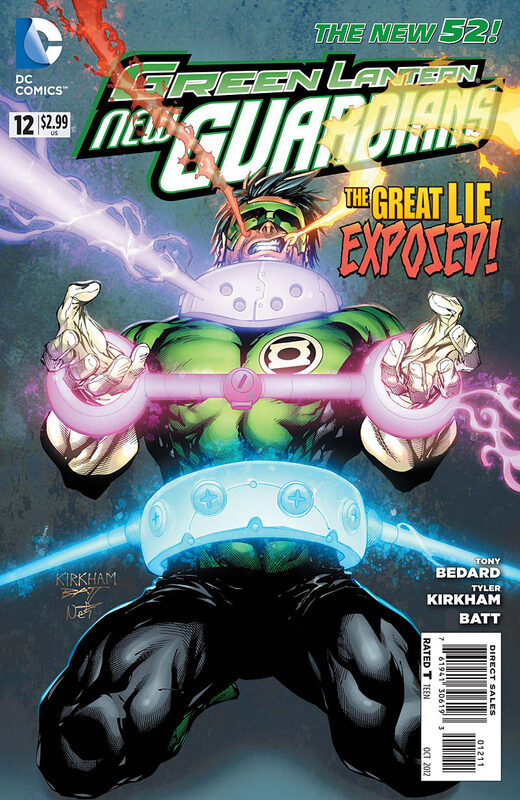 The NEW GUARDIANS vs. LARFLEEZE! The final judgment of INVICTUS! Kyle confronts Sayd about why she sent the rings to him to form their group. While they quibble about the “how’s” ad “why’s” of it all Invictus ship has entered the orbit of Larfleeze’s home planet. Kyle realizing that they don’t stand a chance against Invictus unless they stand together. He manages to unite them all as Invictus attacks. They discover the source of his power and trap him away from his sun powered ship. 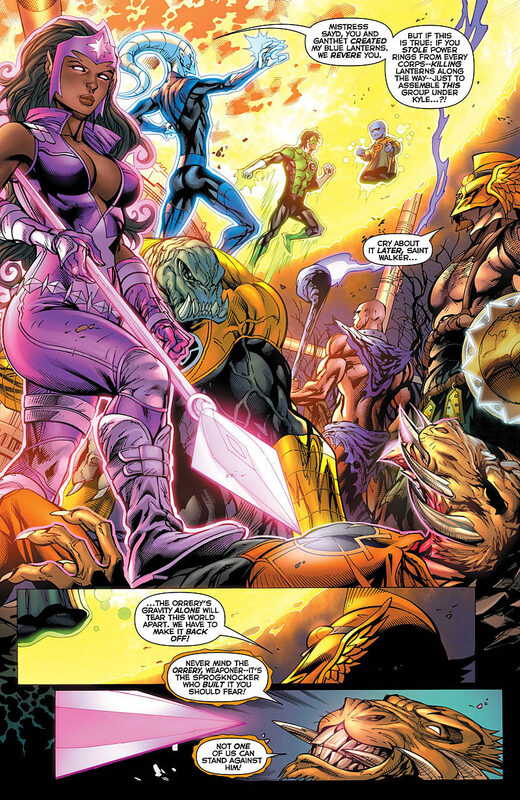 Larfleeze takes the now stone like Invictus as a trophy as Sayd explains why she sent the rings to Kyle to create their group. The other members of the group leave unwilling to remain having been brought together by deception. Art-Tyler Kirkham, oh how I love your art! The dynamic colors make this a very gorgeous book! Continuity- Love the little touches like the Yellow Ring malfunctioning, the bond between Arkillo and Saint Walker, the bond between Sayd and Ganthet, how his violation by the guardians has affected her profoundly, Kyle’s place as unique in the universe all this really added much needed depth to the issue. Action- Invictus vs the New Guardians round 2, action junkies will b very happy. Invictus seemed way depowered this issue, some may hate that!